Leftist parties and movements have held rallies in Moscow and other Russian cities in a bid to resist the country’s entry into the World Trade Organization as the Constitutional Court started to consider the legality of joining. The main argument of the leftists is that Russian goods are not competitive enough in international markets and joining the WTO would kill the country’s industry and agriculture. “The main Russian exports are raw materials, fuel and energy and weapons and these do not fall under WTO regulations. 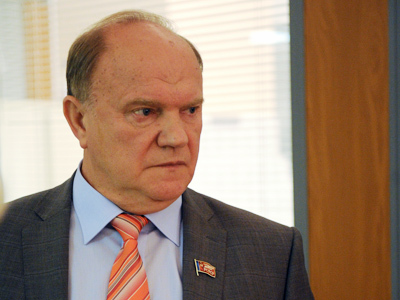 That is why joining WTO will result in Russia becoming a raw materials appendix and a market for global corporations,” said Russian Communist Party leader Gennadiy Zyuganov. 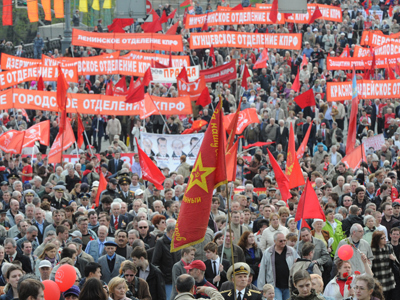 Smaller rallies also took place in other Russian cities, such as Yekaterinburg and Nizhny Novgorod. However, the United Russia accused the opposition of populism and lack of responsibility. “This is populism, rocking the national boat, an irresponsible stance that is aimed only at self-promotion,” MP Vladimir Gutenev said about the anti-WTO initiatives. The parliamentarian, who is Deputy Head of the State Duma Committee for Industry and vice-president of the Russian Machine Builders’ Union, said both United Russia and the pro-Putin United Popular Front movement understood the risks Russia was facing, but they also understood that the WTO membership was necessary for the nation. “We cannot close the door that is held open before the country only because we are not dressed to the weather. Otherwise the train will leave and we will stay,” Gutenev said, adding that at present there was no alternative to Russia’s WTO entry. The case against the agreement on Russia’s WTO membership is currently being considered by the nation’s Constitutional Court. 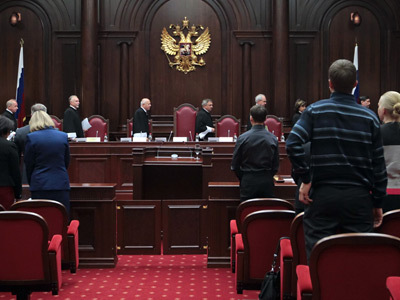 It was filed in late June by the parliamentary factions KPRF and Fair Russia who claims the treaty contradicted several articles of the Constitution and thus the court should order its ratification stopped. After the first session into the case, a court representative told the press that the decision on it may be passed next week. 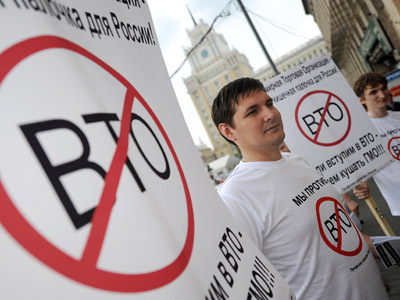 Russia must ratify the WTO membership agreement before July 23.